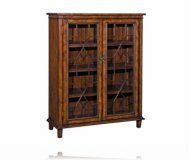 Dimensions:51W x 18D x 37H in. 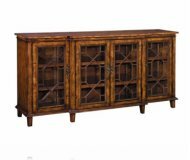 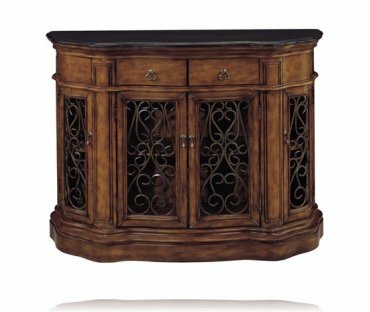 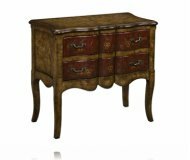 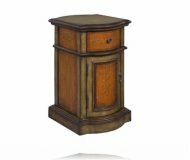 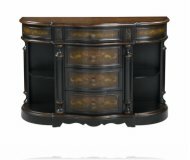 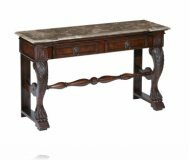 Stunning wood tone curved credenza with wrought iron scrolled doors that open to a single shelf inside. 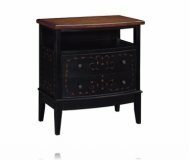 Black granite top and two drawers.